Daily disposable contact lenses are single-use lenses which are thrown away at the end of each day. Each lens is stored in a saline based solution and it is therefore sterile, clean and deposit free. Whether you are only an occasional lens user or you are travelling and have no room for solutions and cases, daily disposable lenses are very convenient. You have fresh, new lenses everyday! 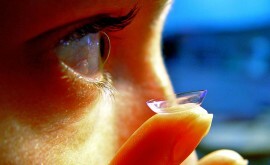 Daily disposable lenses are much less likely to lead to infection. Also, they are less prone to accumulating deposits as they are discarded daily. This results in improved hygiene, patient vision and comfort. 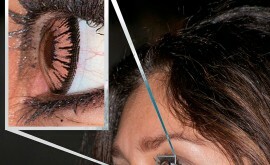 Some contact lens cleaning solutions can cause irritation. With the saline based solution that daily disposable lenses are stored in, the chance of irritation is much less. Patients often say that daily disposable lenses are much more comfortable. This depends on the type of lens though, so be sure to discuss all the options with your Optometrist. This means that it is easier to remove the lenses. For example, overnight and after swimming or showering. You simply throw away, rather than have to comply to a cleaning regimen. Likewise, there is no need to comply to a replacement schedule. This is the main reason for non-compliance where patients forget to change their lenses every two weeks, every month or every three months etc. They are not available in very high minus prescriptions or plus prescriptions over +6.00D. Also, the maximum toric prescription they can correct is -2.25DC. Daily disposables are more expensive. However, once you consider the cost of contact cleaning solution and storage cases for reusable lenses, the price difference between disposable and reusable lenses may not be so great as you might think. Also, if you are an occasional lens wearer, disposable lenses may end up being more cost effective after weighing up how many daily lenses you actually use per month. Which daily disposable lenses are the best? This can vary depending on the patient’s needs. 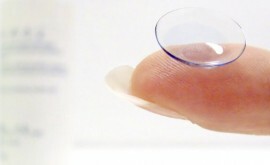 Daily disposable lens technology is always evolving. However, there are cases where it is not possible to correct a patient’s prescription because the lenses don’t come in the correct specifications. 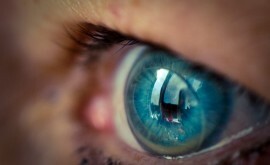 Also, some patients prefer a certain type of lens material on their eye. I have put together a list of my preferred daily spherical, toric and multifocal contact lenses . In summary, if it were possible, I would choose to fit every patient with a daily disposable contact lens as the advantages highly outweigh the disadvantages. Unfortunately though they don’t cater for the more complex prescriptions or suit every type of cornea, but this may well change in future! Hi M, if you want to contact me outside fiverr my email is alex@webtherock.com cheers!